In this day and age, good software is a necessity. A sophisticated solution customized to the processes and requirements involved in the surface finishing industry will optimize your processes and improve your administrative workflows. This will save on costs and resources, which will not only make your company more efficient, but also help you to successfully meet the requirements associated with certification processes and other challenges. 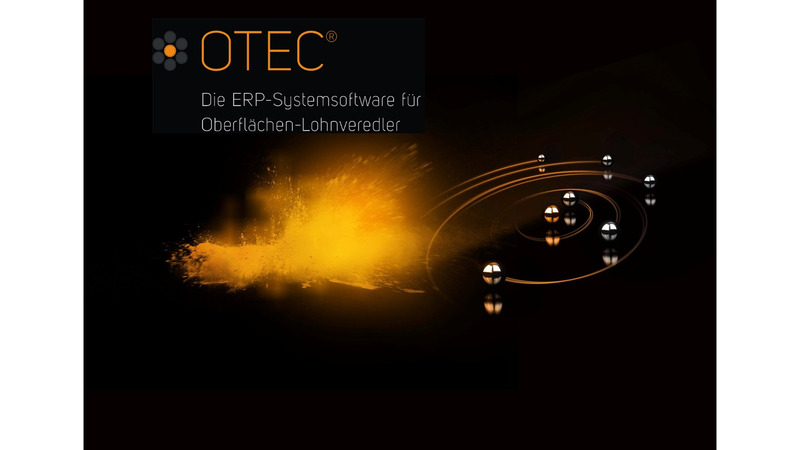 Intuitively record, manage, and create data with just a few clicks: A well-established industrial ERP solution, OTEC meets all the challenges in the surface finishing industry, providing seamless integration, a comprehensive range of functions, and an easy-to-use interface. This way, industry professionals receive exactly the support they need. As a specialized system solution for companies in the surface finishing industry, OTEC meets all the necessary business requirements with regard to order management, quotations, invoicing, and inventory management, along with operational requirements including production planning and control (PPC), process data collection (PDC), and quality management, among others. The object-oriented approach allows users to individually adapt the system to meet operational requirements, which generally includes handling a wide range of different parts and accommodating extremely short processing times. OTEC can be scaled for multilingual use, companies of different sizes, and different numbers of company sites and/or clients. Its clear Windows interface enables intuitive use of the system and leads to high acceptance among users. Short implementation times and the time saved in order processing guarantee a fast return on investment.